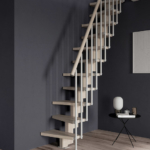 Space saving staircase composed of 11 steps, railing and handrail on one side. 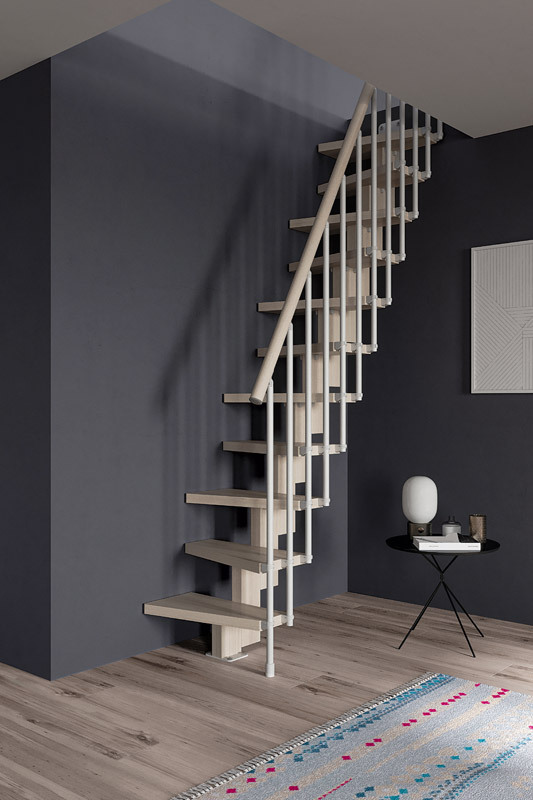 The steps, the structure and the handrail are made of beech wood, painted in natural, water based non-toxic varnish (semi-covering white finish). 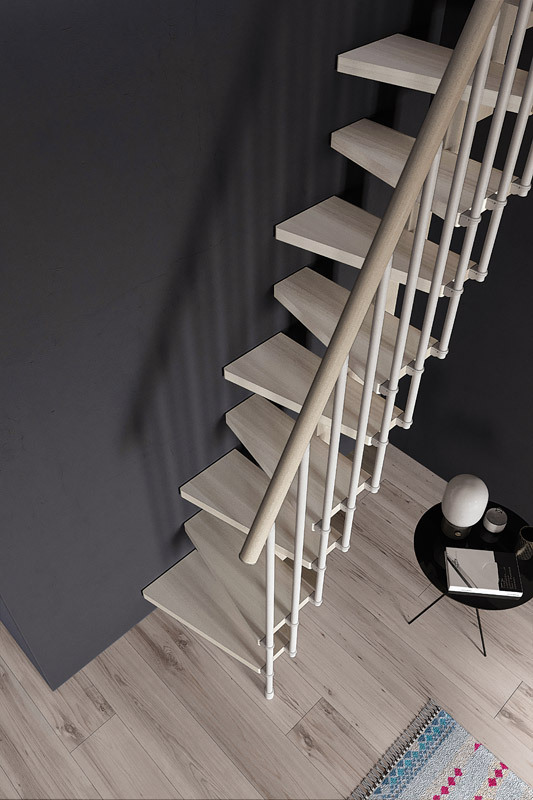 The railing is in white (RAL 9010) painted steel. 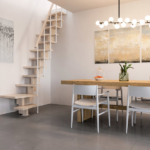 Steps shaping is its key strength because it gives maximum functionality with the minimum encumbrance. 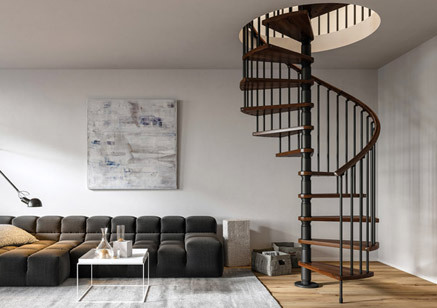 It is also possible to customize the space saving staircase thanks to the accessories range available, among with the platform. 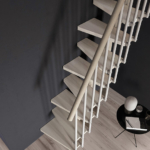 The space saving stair can be installed clockwise and counterclockwise and the rise can be adjusted during the installation phase (from 20 to 24 cm). 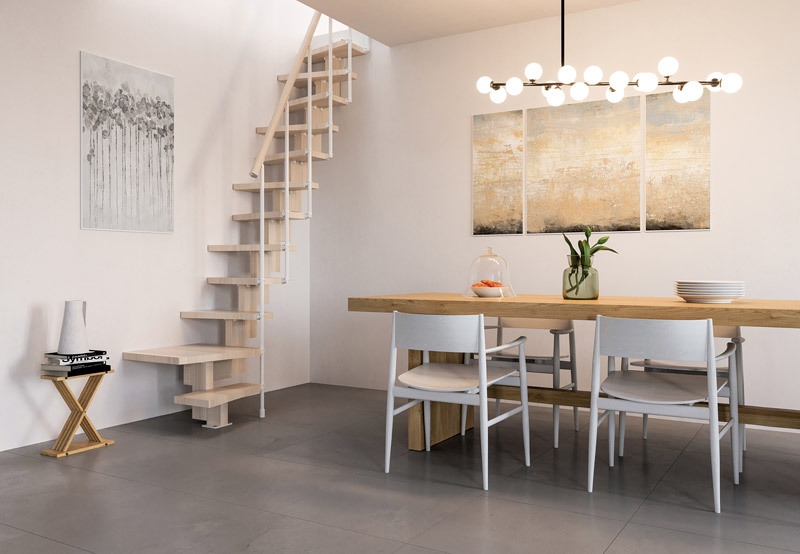 The space saving stair is certified according to European Norms (UNI EN 14975:2007) and grant a load capacity of 200 kg/m2. 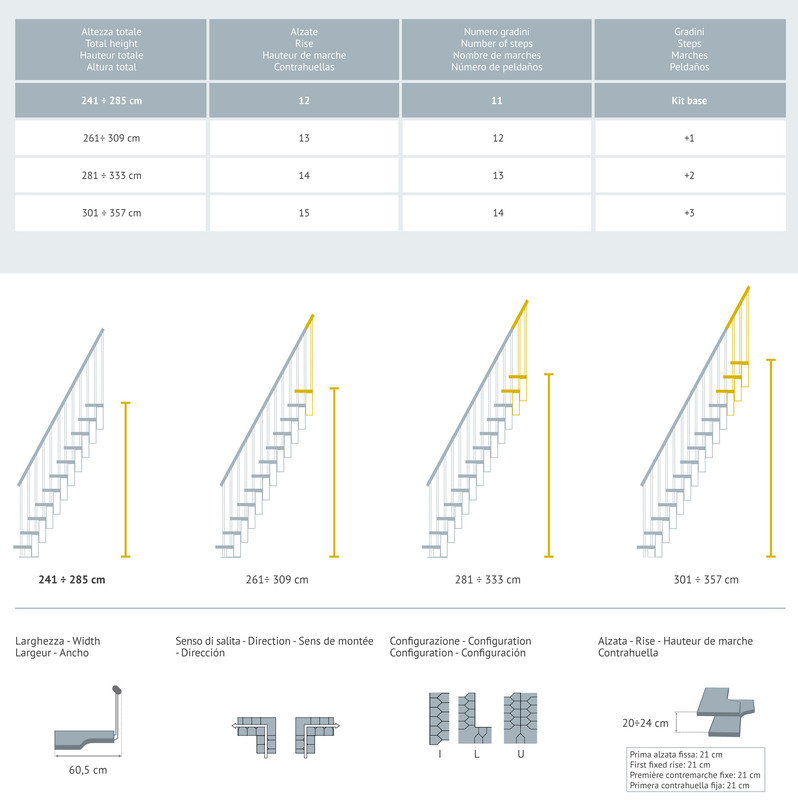 Toutes les mesures sont en cm - Todas las medidas son en cm.